Sonam Looks Pretty In A Purple Lehenga But It’s Anand’s Cutsey Gesture That Has Us Gushing! I've said it once and I'll say it again- Sonam Kapoor and Anand Ahuja are the cutest lovebirds in all of tinsel town. Their wedding literally broke the internet but it was actually the little moments of love and joy that had us gushing. You remember them- an excited Sonam wanting to put the varmala first on Anand or both of them sharing a romantic dance on the reception!? #EverydayPhenomenal for sure! 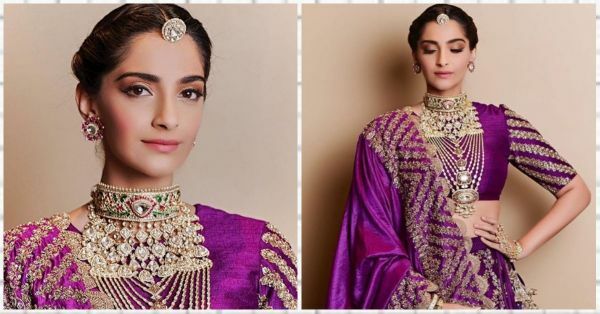 Over the weekend a dazzling Sonam decked up in a purple Jayanti Reddy lehenga to walk the ramp for Birdhichand Ghanshyamdas a luxury jewelry brand and we were taken right back to Sonam ki shaadi. She looked like the absolute princess that she is in the bejeweled avatar and the internet was stunned. She was styled by one of the industry's finest, Tanya Ghavri and royal purple just suits the diva so much. The skirt was entirely detailed with gold zari threadwork and the blouse was plain with embroidered sleeves. Even the dupatta boasted of the same work tying the whole look together. For jewelry Sonam took inspiration from her own wedding day look and went for layered, statement neckpieces. She wore a gold choker with touches of green and pink and paired it with another long necklace. 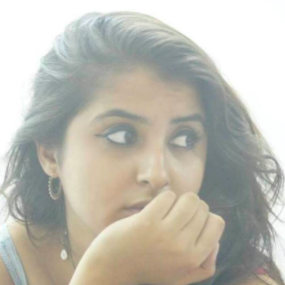 She went for a maang tikka which was relatively simpler and tiny studded earrings. But even though Sonam looked like a Goddess, this wasn't what caught our attention. It was actually her adorable romance with hubby Anand Ahuja which caught our eye. As the two posed for the shutterbugs, Anand absolutely refused to let go of Sonam's dupatta. They smiled as they held hands and haiiiii, what sweethearts! How are they actually freakin' phenomenal everyday? !